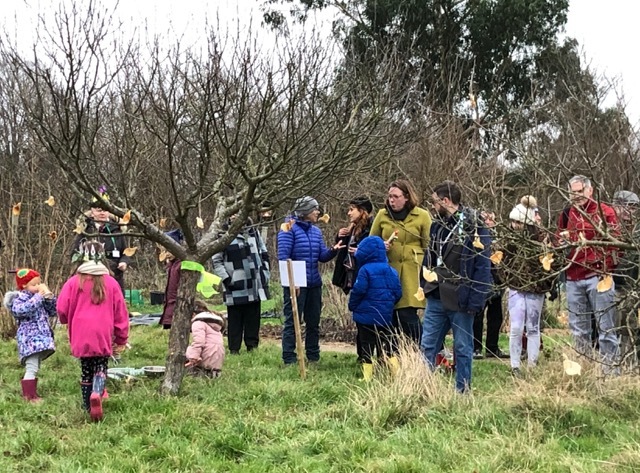 Grove Park has two wonderful community orchards and FOCM and Chinbrook Meadows Horticultural Society have joined together on several occasions to celebrate our trees. ChART is the third partner in the team. 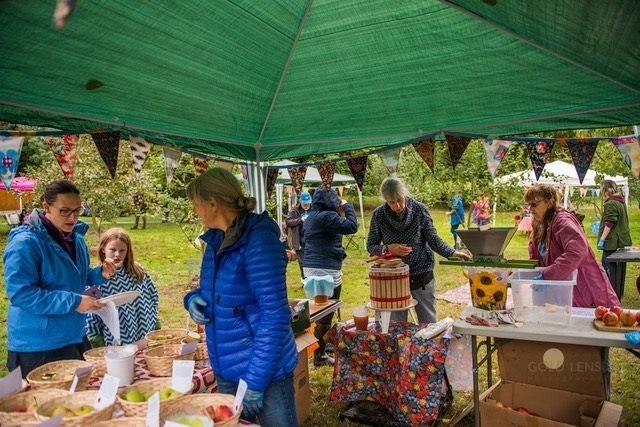 They help with; funding, planning, volunteers, expertise and all-round support. 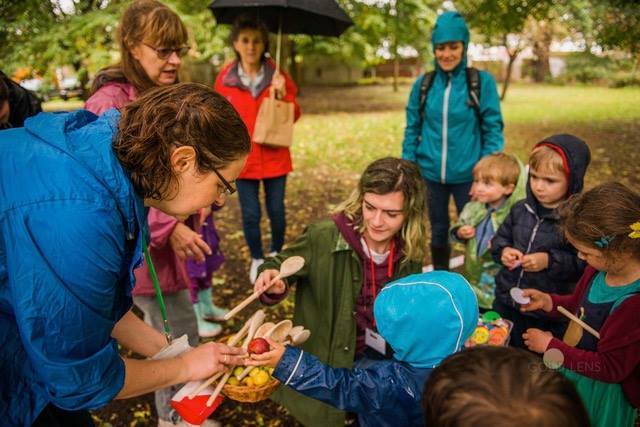 In September we had our annual Apple Day in Chinbrook Meadows – it was a rather wet day but a popular event once more with lots of heritage apples to taste and smell, delicious freshly pressed apple juice, an environmental focused art session with Miyuki Kasahara, a scavenger hunt and (new for 2018!) 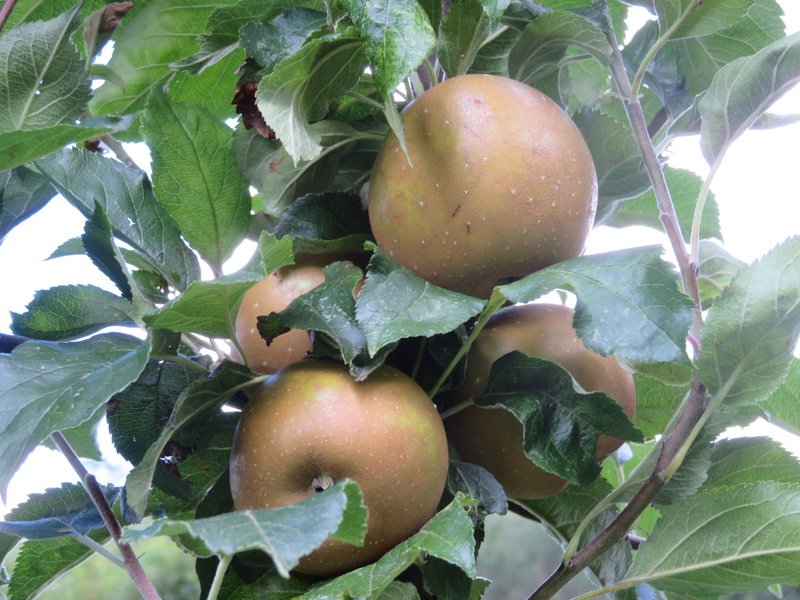 the apple and spoon race. 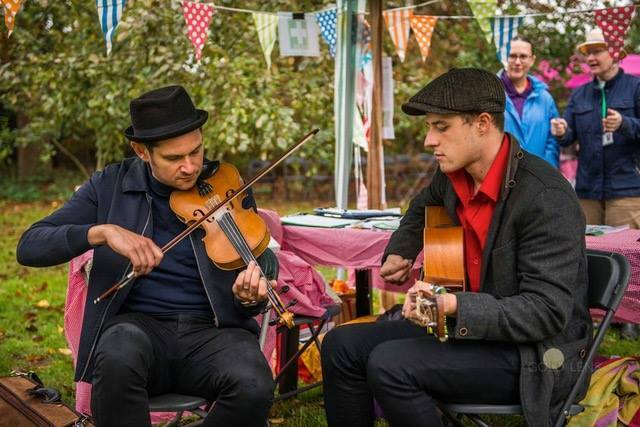 Music was provided by Aaron Horlock and Nick Goode and apple themed cakes from Carol at our park cafe to go with the cup of tea. 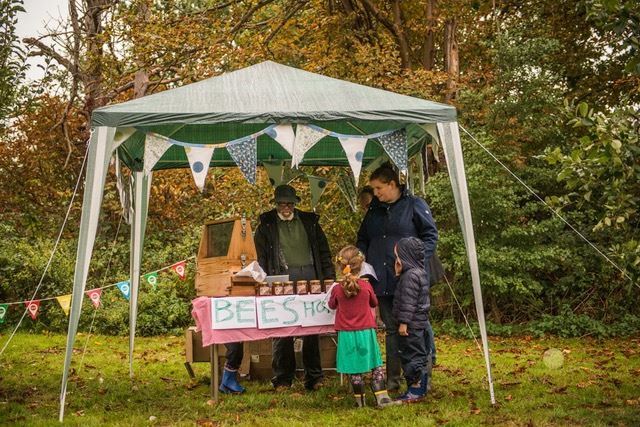 Thanks to Di from the allotments, people loved watching the bees in the demonstration hive too. Photos by Monika Chilicka, Gold Lens Photography. 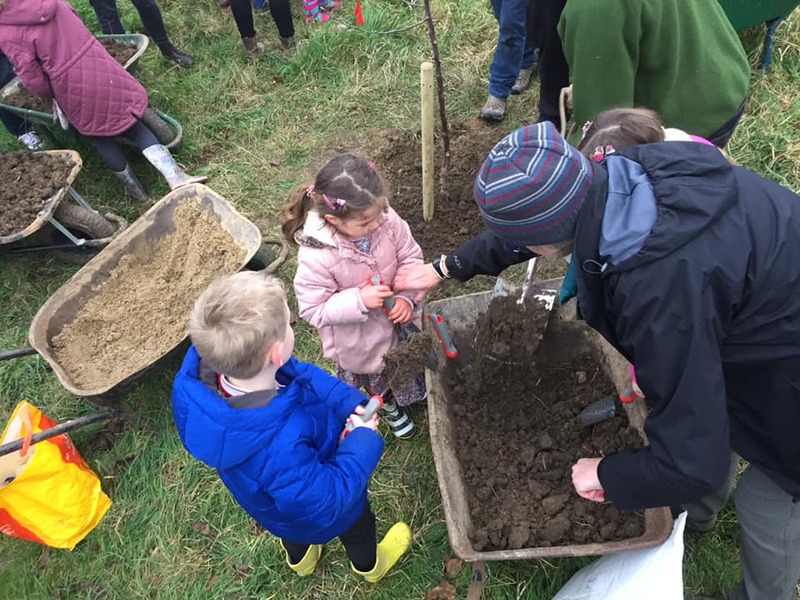 Children helped plant a new Cox’s Orange Pippin apple tree, they made crowns and shakers for our noisy procession through the orchard, guaranteed to “wake up” the trees from their winter slumbers. 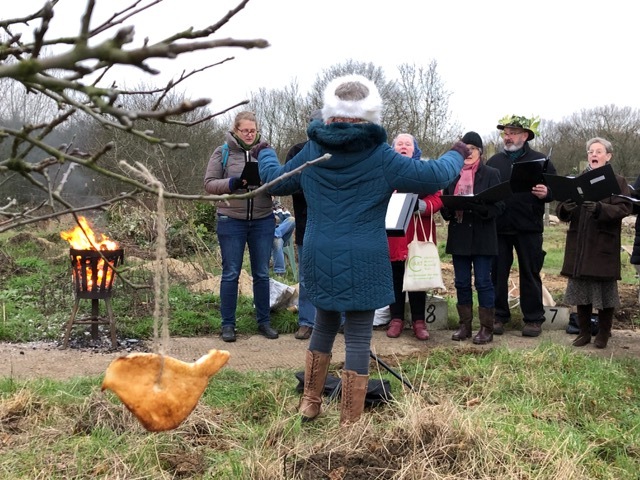 While we listened to the singers the children hung cider soaked bread in the trees to offer to the robins, guardians of the apple trees. 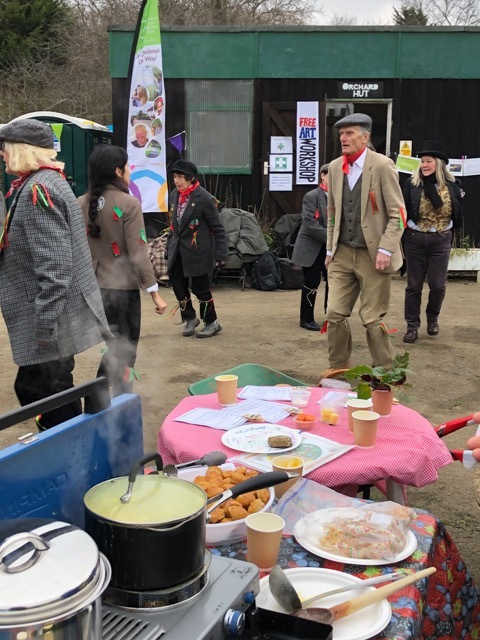 With some warm soup to help us along we had a great afternoon in an idyllic, open-sky corner of Grove Park. This entry was posted in Uncategorized by focmse12. Bookmark the permalink.